This spiritual succession or tradition is often represented as a tree, whose roots are in revelation and whose twigs, leaves, and flowers correspond to the spiritual methods or 'paths' (turuq), founded by the great spiritual master. The branches of the tree represent the principal lines of succession, and are sometimes to be interpreted historically, sometimes only symbolically. On the root of the tree one can read the name Allah; above it, on the trunk, is the name of the Archangel Gabriel (Jibril), who, in the Islamic perspective is the divine instrument of revelation, and above this is the name of Muhammad. At that point the trunk divides into two branches, which bear the names respectively of the first and fourth caliphs (Abu Bakr and Ali), since they were the first two mediators and masters of the Sufi tradition. These two branches divide into many twigs, which bear the names of the earliest Sufis such as Hasan al-Basri, Habib al-'Ajami and Sari as-Saqati. Following these come the names of the greatest spiritual masters of the first Islamic centuries such as Junayd, the great teacher of Sufi metaphysics, Dhu'n-Nun al-Misri, the lover, and Abu Yazid al-Bistami, the absorbed in God. All of these masters lived in the Islamic east, although Sufi mysticism appeared as the 'inner dimension' of Islam wherever Islam prevailed. From about the fourth Islamic century onwards (the ninth century A.D.), the blossoms of mysticism also appeared in the Far West, firstly in Spain and immediately thereafter in the Maghrib, where the name Abu Madyan stands at the origin of a whole segment of new twigs and leaves. This name appears at the top of the tree at about the same level as other famous names from which henceforth almost all subsequent spiritual orders spring. For it was at that time-the twelfth century A.D.-that there appeared 'Abd al-Qadir al-Jilani in the Near East (his influence was to sweep across the whole Islamic world); Mu'in ad-din Chishti in North India and, a little later, Jalal ad-din Rumi in Asia Minor. From this time onwards the Sufi tradition became organized in the form of spiritual orders or brotherhoods that took the name of their founders. Two of Abu Madyan's indirect disciples were to a lasting influence throughout the spiritual world of Islam. The first was Arab Muhiyd din ibn Arabi was born in 1165 in Murcia Spain and migrated via Fez, Bujaya and Tunsia to the Isalmic east. Because of his unsurpassed metaphysical expositions he was called 'the Great al-akbar' (ash-shaykh al-Abkar). The other was Abu'l-Hasan ash-Shadhili, the founder of spiritual order (tariqah beraing his name, Shadhiliyyah.
. One day the master (Abu Yaqub ben Yakhlaf al-Qumi al-Abbasi who had been a companion of Abu Madyan ) mounted his horse, and bade me and one of my companions follow him to Muntabar , a mountain that was about an hour's ride from Seville. As soon as the city gate was opened, my companion and I set out on foot. My companion carried in his hand a copy of al-Qushayris's Epistle, of which has I have said I knew nothing. We climbed the mountain and at the top we found our master , who with a servant, had gone ahead of us. He tethered his horse, and we entered a mosque at the top of the mountain in order to pray. After the prayer, we sat with our backs towards the prayer-niche (mihrab). The master handed me Qushayri's Epistle and told me to read from it. I was unable, however, to utter a single word. My awe of him was so great that the book even fell from my hands. Then he told my companion to read it, and he expounded on what was read until it was time for the afternoon prayer, which we said. Then the master said: 'Let us now return to town. He mounted his horse, and I ran alongside him, holding on to his stirrup. Along the way he talked to me of the virtues and miracles of Abu Madyan. I was all ears, and forgot myself entirely, keeping my eyes fixed on his face the whole time. Suddenly he looked at me and smiled and, spurring his horse, made me run even more quickly in order to keep up with him. I succeeded in doing so. Finally he stopped, and said to me: 'Look and see what thou hast left behind thee.' I looked back and saw that the way along which we had come was full of thorn bushes that reached as high as my tunic, and that the ground was also covered with thorns. He said: 'Look at thy feet!' I looked at them and saw on them no trace of the thorns. 'Look at thy garments!' On them too I found no trace. Then he said: 'That comes from the grace engendered by our talking about Abu Madyan-may God be pleased with him-so persevere, my son, on the spiritual path!' Thereupon he spurred his horse and left me behind . . .
Abdas-Salam ibn Mashish more on the life. Only one text has come down to us from Ibn Mashish, a metaphysical paraphrase of a widely known prayer, in which the believer calls on God to bless the Prophet as if to thank him for having received Islam through him. called As-Salatul-Mashishiyyah Ibn Mashish sees in the historical Muhammad an expression of the one Spirit from which all revelation comes and which is the eternal mediator between the ungraspable Godhead and the world. This is the Logos, the first manifestation of God and, as such. 'Attribute the actions of creatures to God as Agent; this will bring no harm to thee; whereas it will bring harm to thee if thou regardest creatures as the authors of their actions.' The spiritual attitude corresponding to this angle of vision is that of 'vacare Deo', unconditional self-abandonment to God: The servant will not attain to God as long as he harbours any desire or ulterior motive. If thou wouldst please God, renounce thyself and thine environment and thy power over it. But this abandonment is not mere in-action: each moment is a sword, if thou cuttest not with it, it will cut thee (i.e. cause that moment to be lost for the remembrance of God). Abu'l-Hasan ash-Shadhili inaugurated a spiritual method for the acquiring of spiritual poverty and for the practising of it in the midst of worldly cares. Amongst the disciples that came to him during his lifelong peregrination from the Islamic West to the Islamic East, there were rich and poor, educated and uneducated, government ministers and day labourers. His first successor was Abu'l-'Abbas al-Mursi, who lived in Egypt, and the one after that was the famous Ahmad ibn Ata'illah of Alexandria, whose 'Spiritual Aphorisms' (Hikam) became the breviary of almost everyone who followed the Sufi path, whether in the Far West (Morocco) or the Far East (Java and Sumatra). Ibn Ata'illah died in 1309. 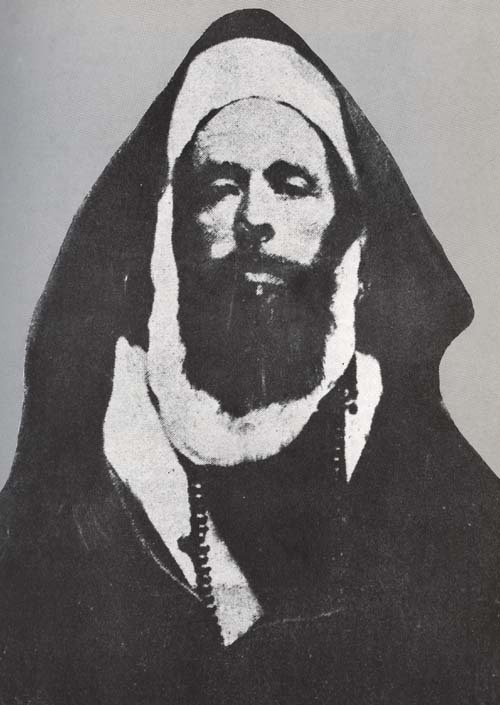 In addition to the Shadhili line of spiritual masters who-like Ahmad az-Zarruq al-Bamussi, bom in Fez in 1441 and died in Tripoli in 1493- expounded Sufi doctrine with logical precision, there were always spiritual personalities who broke every rational framework, as if they incorporated some secret essence of the doctrine which transcended ordinary reason. 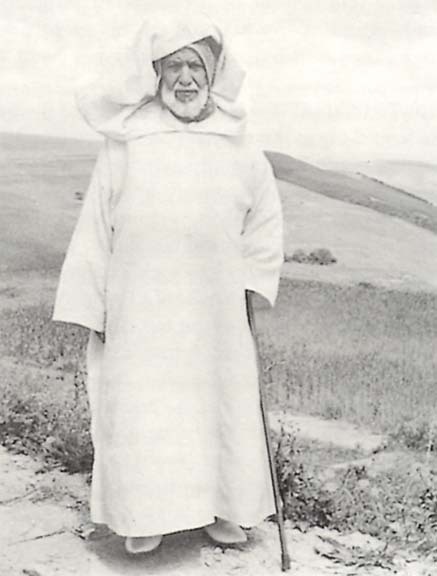 One such was the master Ali as-Sanhaji, who lived in Fez in the first half of the sixteenth century. The link with the Islamic east was maintained by the pilgrims who travelled to Mecca. And thus it occurred that eastern spiritual orders like the Qadiriyya, the Khalwatiyya and the Naqshbandiyya spread to the Maghrib. In the middle of the eighteenth century a Fez man, from the noble family of the Saqalli brought the Naqshbandi spiritual method from Egypt to Fez. Towards the end of the eighteenth century Mulay Ahmad at-Tijani, who had studied in Fez and then lived for a long time in the east where he had contacts with the Khalwatiyya, founded a new order which henceforth was to bear his name. His doctrine and his method held the balance between the Sufi tradition and the generally accepted theology. For this reason his order always lived on the best terms with the ruling house. The principal centre of the order is 'Ayn Madi in the south of Algeria, but the sepulchral mosque of the founder is in Fez, in the al-Blida district, where it is easily recognizable by its richly decorated doorway. Inside it is completely covered with blue and green arabesque mosaics. For a long time the order dominated the caravan routes through southern Algeria to the Sudan. It is well represented in Black Africa, and one can often meet Sudanese Muslims who have come to Fez to visit the tomb of the founder of the order. he ordered me to carry two baskets full of fresh through the town. I carried them in my hands, and did not wish, as the others told me, to put them on my shoulders, for that was unwelcomed to me, and consticted my soul, so that it became agitated and fearful a d grieved beyond measure till I began to weep And, by God, I still had to weep for all the shame, humillation, and scorn that I had to undergo as a result. never before had my soul had to suffer such a thing, so I was not conscious of its pride and cowardice. 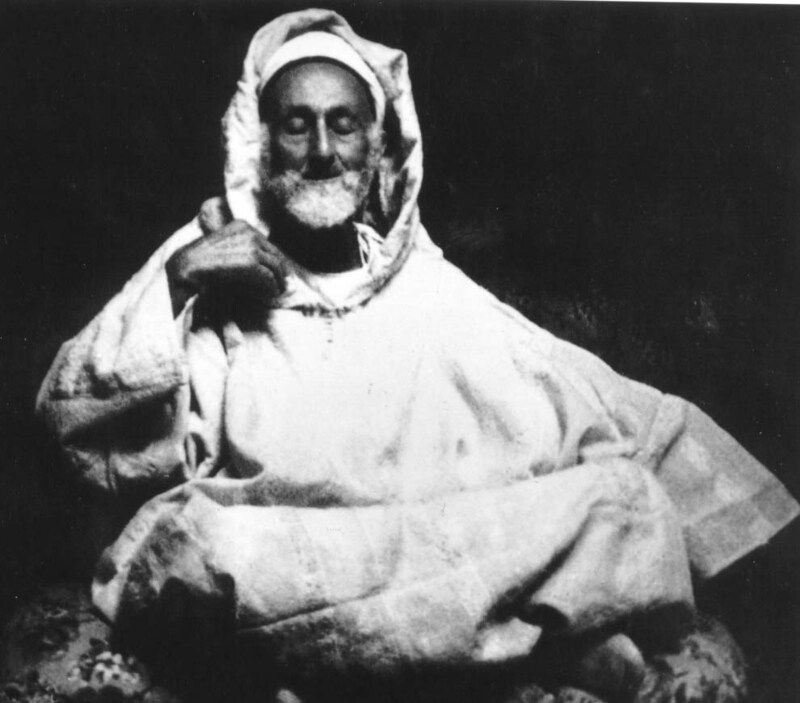 The heart of man cannot attach itself to the Divine Essence unless his ego has been effaced, extinguished, destroyed, annihilated ... As the saint Abu Madyan has said: 'Whoever does not die, does not see God.' A the masters of our way have taught the same. And take care that you do not think that it is the things of the body and the soul that veil God from us. By God, what veils Him is nothing other than illusion, and illusion is vain. As the saint Ibn "Ata'illah has said: 'God did not veil Himself from thee by some reality coexisting with Him, since there is no reality other than He. What veils Him from thee is naught but the illusion that some- thing outside Him could possess any reality.' . . .
. . . The soul is something immense; it is the whole cosmos since it is a copy of it. Everything that is in the cosmos is in the soul and everything that is in the soul is in the cosmos. Therefore, whoever masters his soul masters the world, and whoever is mastered by his soul is mastered by the world. . . .
Ahmed al-'Alawi is Ahmed ibn Mustafa ibn 'Aliwa, Abu al-'Abbas al-'Alawi, born in Mostaghanem, Algeria, in 1291/1874. He was a Sufi, Maliki scholar, Koranic exegete, poet, and the sheikh and renewer of the Shadhili tariqa, of which he founded the 'Alawi-Darqawi order that bears his name. His teachingstressed the threefold nature of the Muslim religion (din) as mentioned in the Gabriel hadith: Islam, represented by one's inward and outward submission to therules of Sacred Law; true faith (iman), in the tenets of faith of Ahl al-Sunna; and the perfection of faith (ihsan), in the knowledge of Allah which the way ofSufism provides the means to. He authored works in each of these spheres, though his most important legacy lay in the spiritual way he founded, whichemphasized knowledge of Allah (ma'rifa) through the practice of solitary retreat (khalwa) under the supervision of sheikh, and the invocation (dhikr) of theSupreme Name. Europeans visited the sheikh, but some who met him later wrote works that tried to assimilate him to a sort of perennialist philosophy thatwould consider all religious traditions as valid and acceptable reflections but a single truth, substituting traditional spirituality versus modern materialism for Islamversus unbelief. The sheikh's own works emphatically deny their philosophy, and the reason Allah afficted them with it would seem to be that they did notremain with the sheikh long enough to absorb his state or become as he was, a follower of the way of the prophets and purified ones, rather taking theiraffiliation with him as a means to legitimize opinions they had from the first and were unwilling to ever relinquish, remaking the master, as it were, in their ownimage. The true measure of a spiritual way, however, does not lie in books produced by writers, in the wrong or in the right, but in hearts it opens to knowledgeof divine realities conveyed by prophetic revelation, and in the Sheikh Ahmed al-'Alawi, whose order has spread to the farthest reaches of the Muslim world, certainly stands as on of the greatest Sufi masters of Islamic history. He died in Mostaghanem in 1353/1934.